Cool, refreshing fruit, ice-cold margaritas (or beergaritas), and popsicles... this combination of food and drink just screams summer. Turn up the chill jams on the stereo, fire up the grill, and throw on your shades—you're just one pool away from the best summer party ever. Well, not all of us are fortunate enough to have a pool in our backyard—but you can still enjoy margarita-soaked melon pops with your shades on while grooving to your favorite summer music. 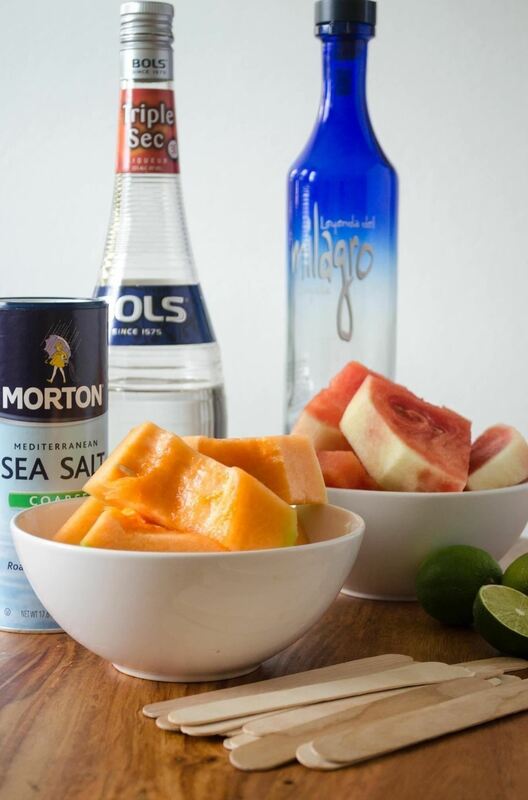 Note: The amount of alcohol and juice you need is dependent on how much melon you'll be making at once, which is why I haven't listed specific amounts. If you're making a large batch, however, you may want to buy lime juice instead of juicing them one by one. Mix equal parts tequila, triple sec, and lime juice together in a shallow bowl. Add a pinch of sea salt and stir. 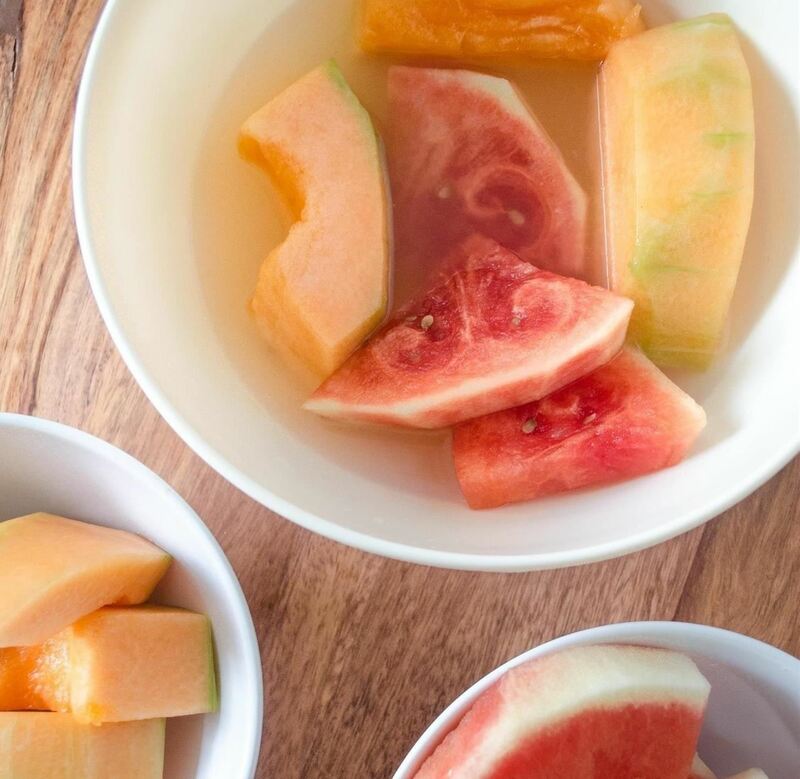 Submerge the sliced watermelon and cantaloupe in the soaking liquid, then marinate the fruit for at least 15 minutes. 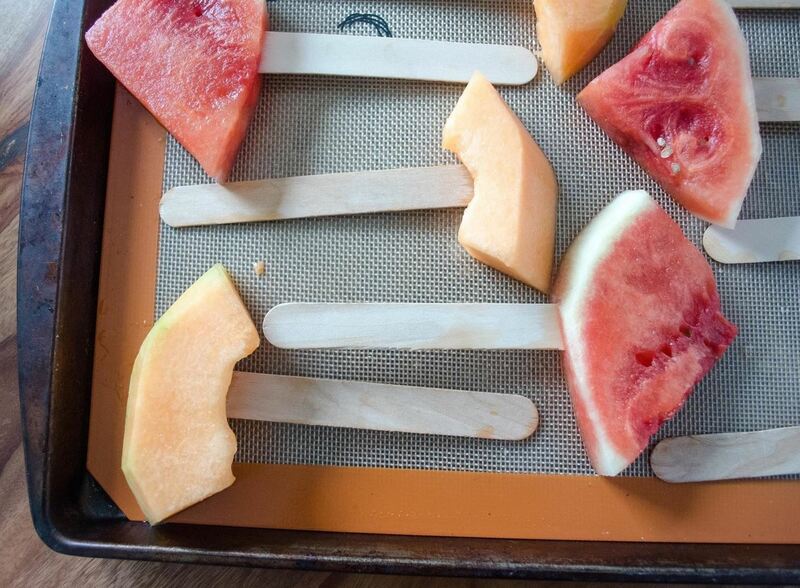 Take your popsicle stick and pierce the center of each fruit, making sure not to skewer it (the stick should not appear both above and below the fruit piece). Then, place the melon pops on a sheet pan. 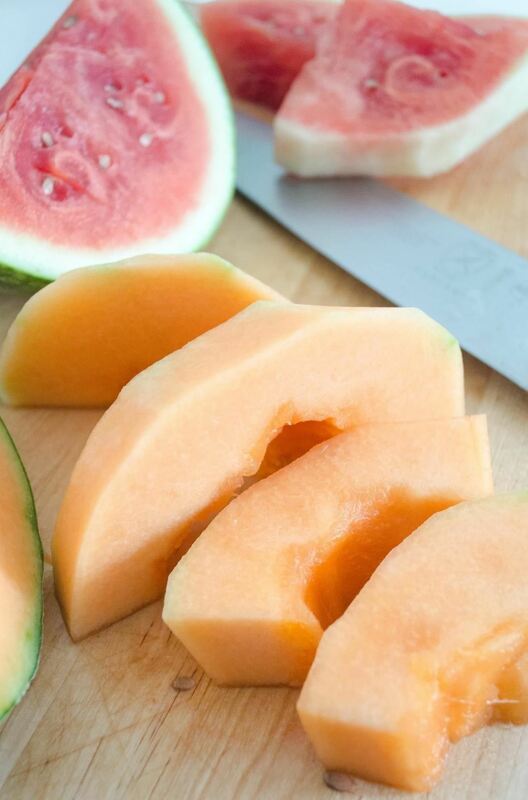 Freeze the melon pops on the sheet pan for 1 hour. Freezing will allow them to firm up after being soaked; it also makes them nice and cold—essential for any hot summer day. 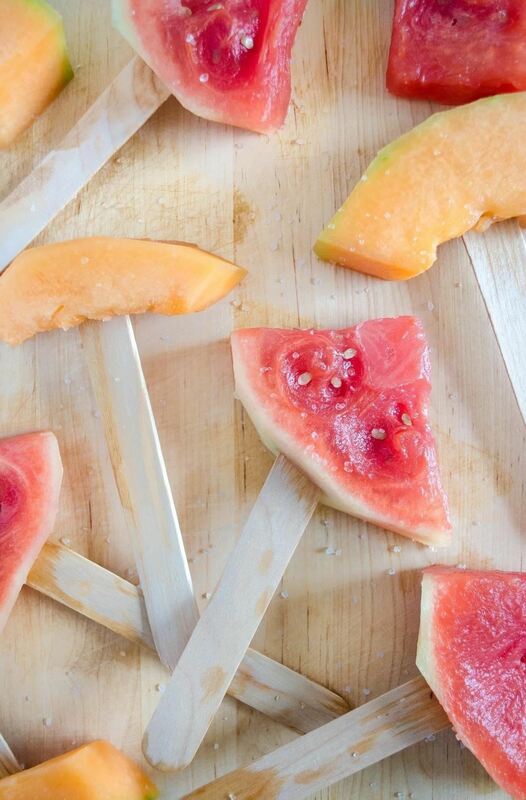 Once you're ready to serve your melon pops, remove them from the freezer and sprinkle sea salt as a finishing touch. Serve at your summer party or enjoy on your own—the choice is yours. Either way, these icy, boozed treats are sure to please. 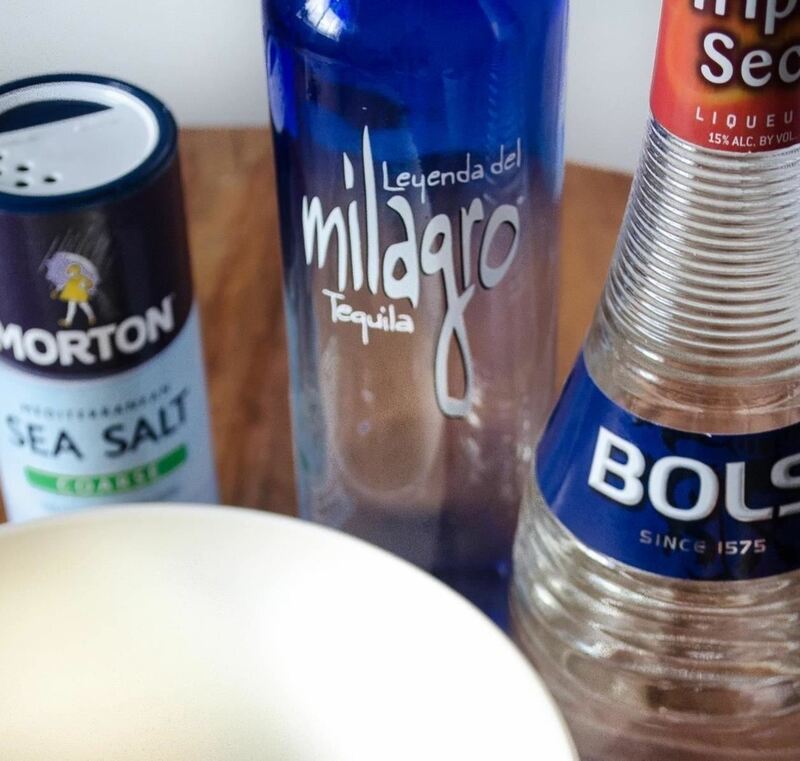 If, for some reason, you'd like to use a non-alcoholic version of this recipe, simply use margarita mix in lieu of the soaking liquid I used above—margarita mix doesn't contain alcohol and is readily available at your local supermarket. But I definitely recommend the boozy version... a little day drinking doesn't hurt from time to time. The next time you get invited to a pool party or simply decide to throw a summer party yourself, keep these pops in mind; not only are they easy to make, but they're sure to be a hit.